Budget 2018 wake-up call: Incineration tax threat means it is time for Councils and businesses to move towards circular economy and away from incineration. Whilst UKWIN would like to see greater and more urgent action, there are measures in the pipeline to encourage increased recycling and increased recyclability. With all this in mind, alongside the forthcoming Resources and Waste Strategy, now is the time for councils and businesses to consider how they can minimise their long-term reliance on waste incineration and prevent significant quantities of recyclable and compostable material from going up in smoke, especially considering the fact that burning plastics results in the release of significant quantities of fossil CO2. 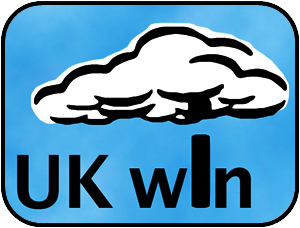 As noted in UKWIN’s recent climate change report, in 2017 the UK’s 42 incinerators released a combined total of nearly 11 million tonnes of CO2, around 5 million tonnes of which were from fossil sources such as plastic. The 5 million tonnes of fossil CO2 released by UK incinerators in 2017 resulted in an unpaid cost to society of around £325 million. Over the next 30 years the total cost to society of fossil CO2 released by UK’s current incinerators would equate to more than £25 billion pounds of harm arising from the release of around 205 million tonnes of fossil CO2. According to UKWIN: “The 2018 Budget should be seen as a wake-up call for those who think that waste incineration will be able to get away with avoiding the cost to society of the fossil CO2 that is released or the harm that incineration causes to recycling. It is time for Councils to ready themselves for a circular economy, and that means supporting the top tiers of the waste hierarchy and avoiding ‘leakages’ such as incineration and landfill that result in resources being lost to society”.